Brexit – What is it and what happens next? Instantly download this special report for free today. PRIME Minister Theresa May has the green light to start Britain’s exit from the EU. The House of Commons and House of Lords have had their say. Now Brexit will begin as Theresa May triggers Article 50. But, what is Article 50 and what happens next…? First News explains everything there is to know about Brexit in this FREE downloadable report. First News is the award-winning weekly newspaper for young people (aged 7-14). 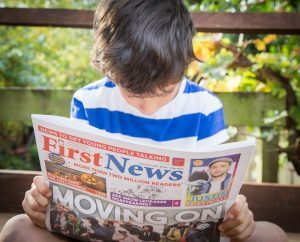 Produced in a traditional, full-colour tabloid newspaper format, First News presents relevant news stories and current affairs in an informative, entertaining and stimulating way, encouraging children to take an active interest in the world around them. Since its launch in 2006, First News has become the widest read children’s weekly publication and is the ONLY newspaper for young people. First News also has over 2.2 million readers each week and 10 years of expertise in reporting for children. Puzzles, competitions and much more! *Your 3 issues will be followed by Direct Debit payments of £16.49 every 3 months. You can cancel at any time during a 14 day cooling off period. UK offer only.